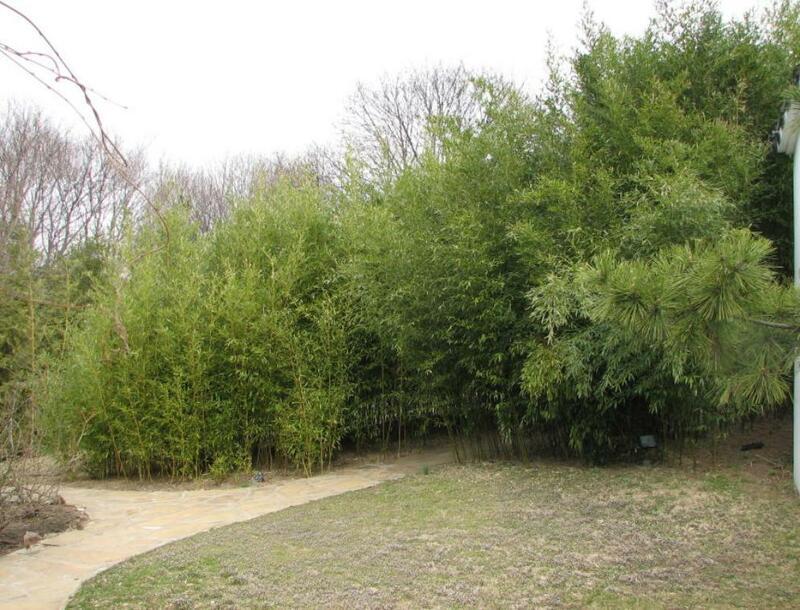 trees and bamboos. 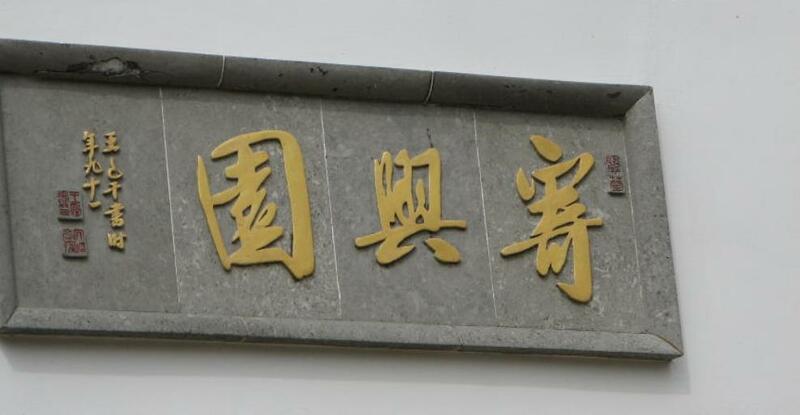 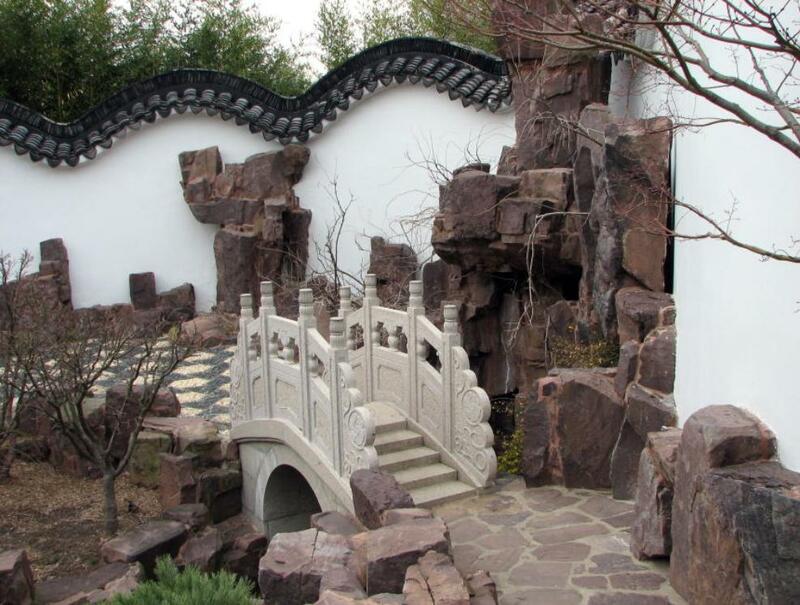 It was designed by a Chinese company (苏州园林设计院) in SuZhou, China. 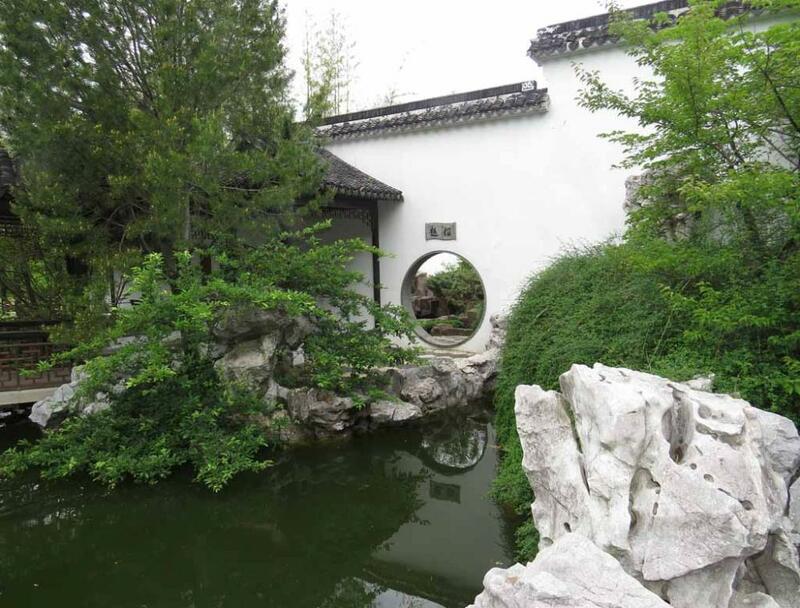 harmony through its views and concepts. 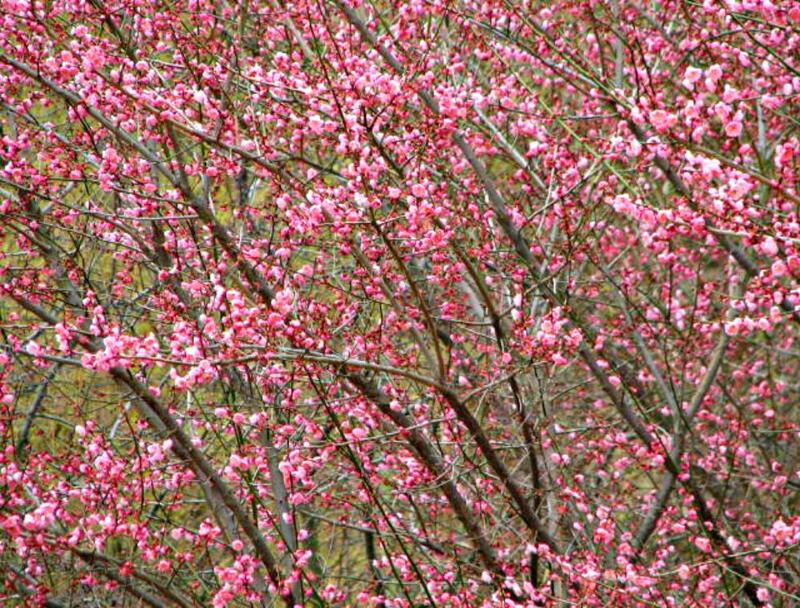 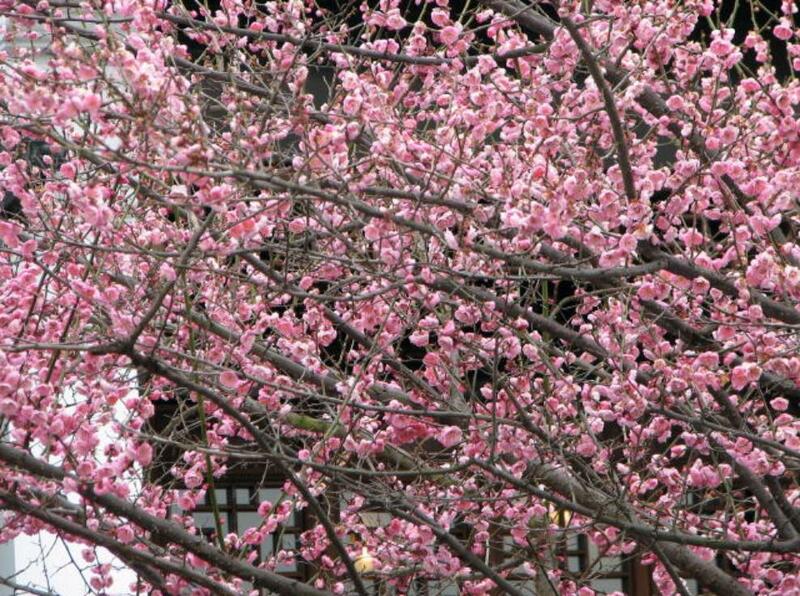 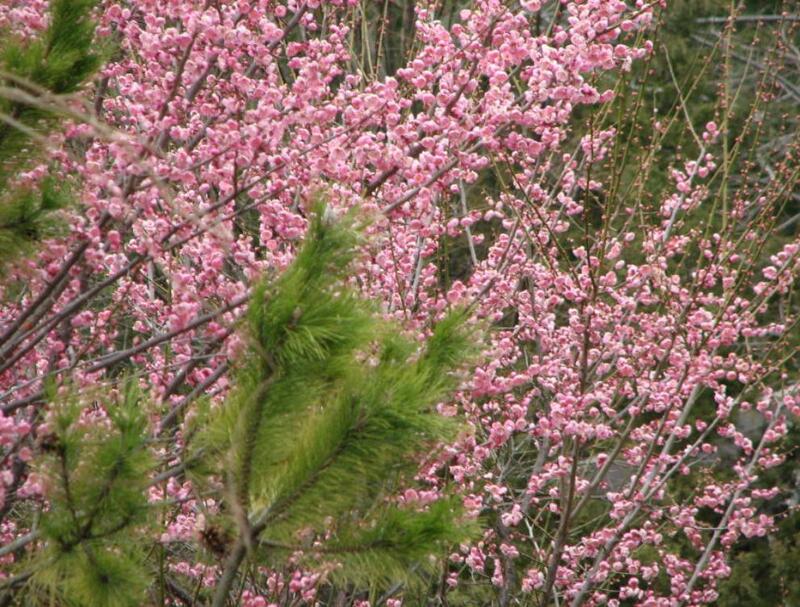 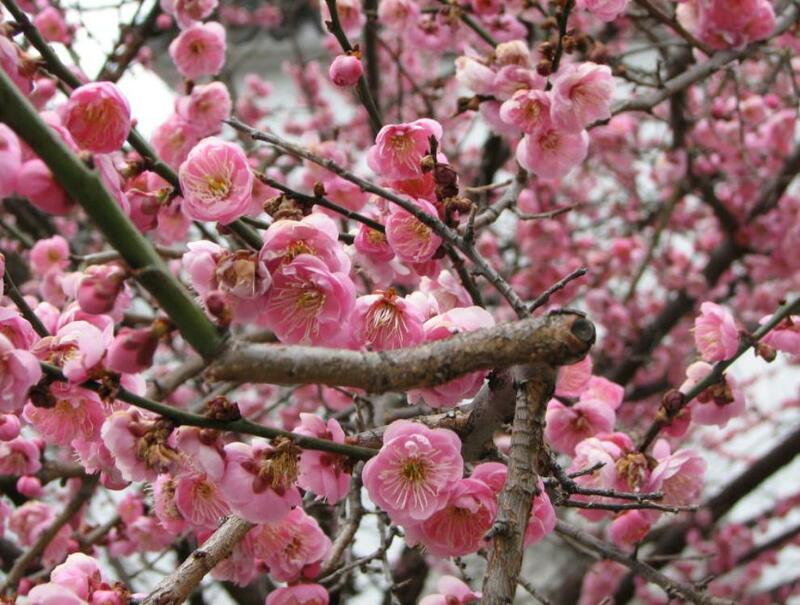 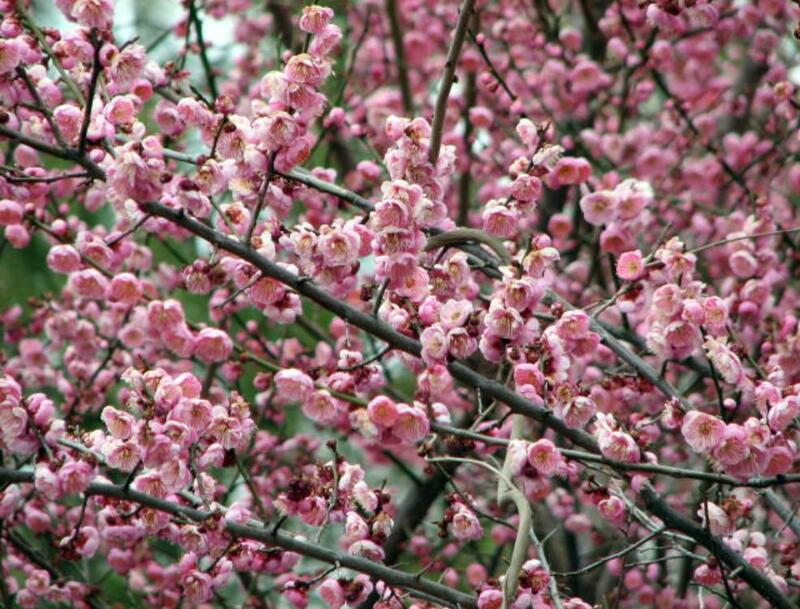 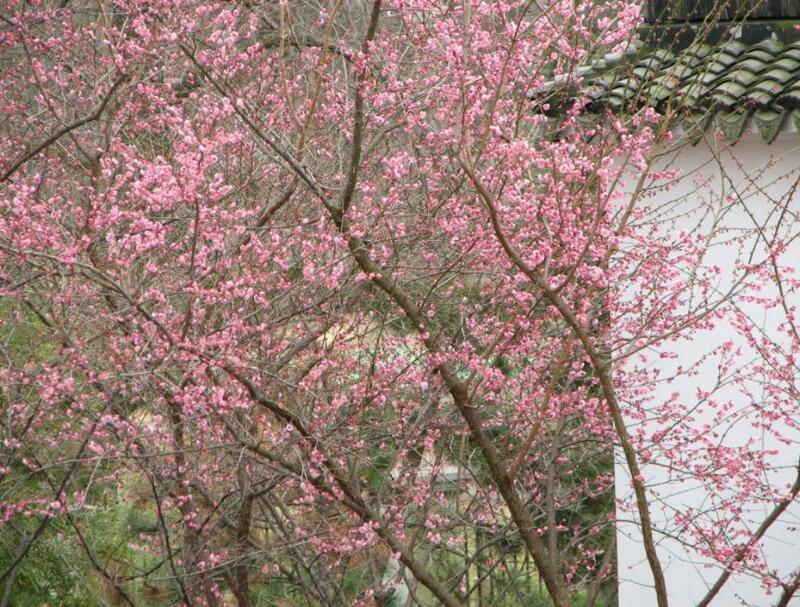 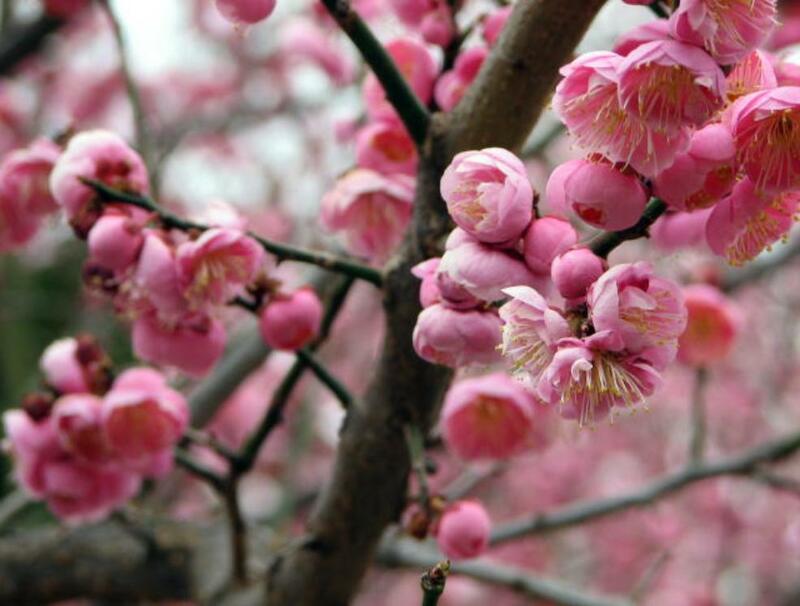 This is my first experience to see so many Prunus mume blossom trees in full bloom. 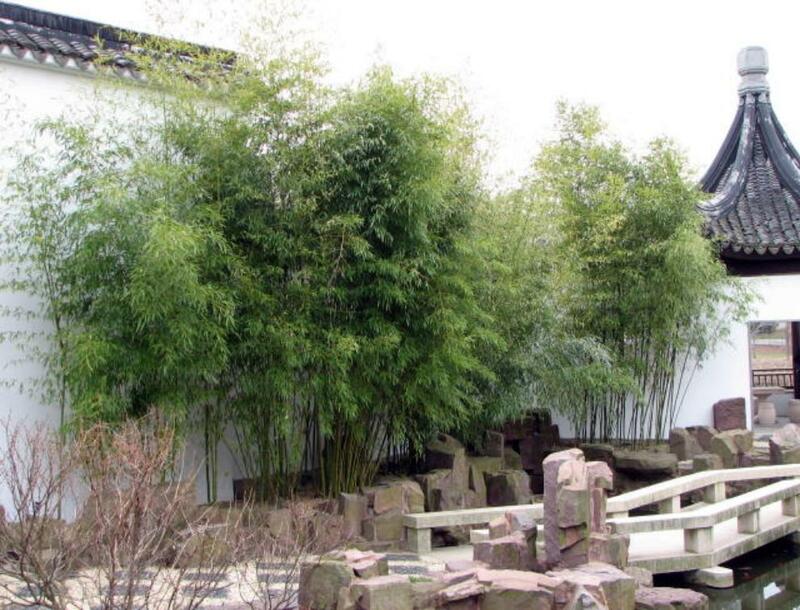 The pleasant greens of bamboo offers a placid, soothing feeling in the Wandering-In-Bamboo Courtyard. 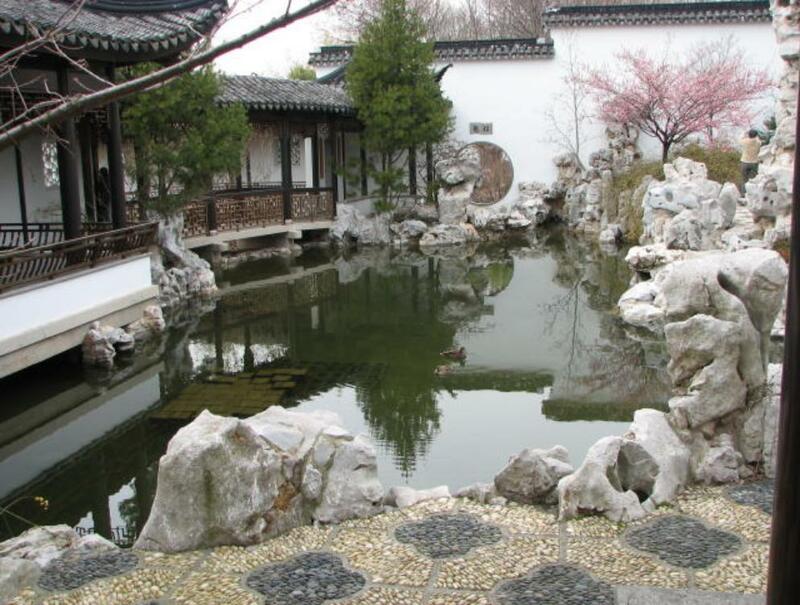 ponds and one waterfall. 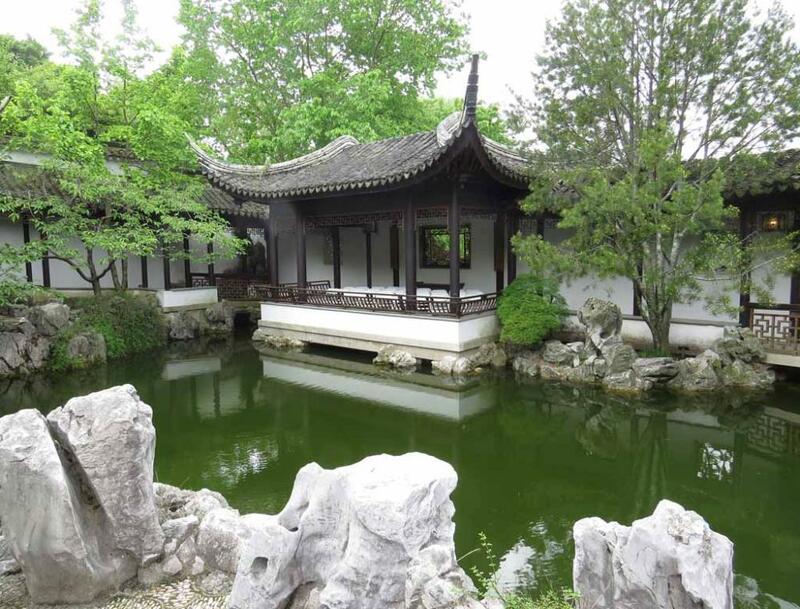 It is a great place to relax and meditate. 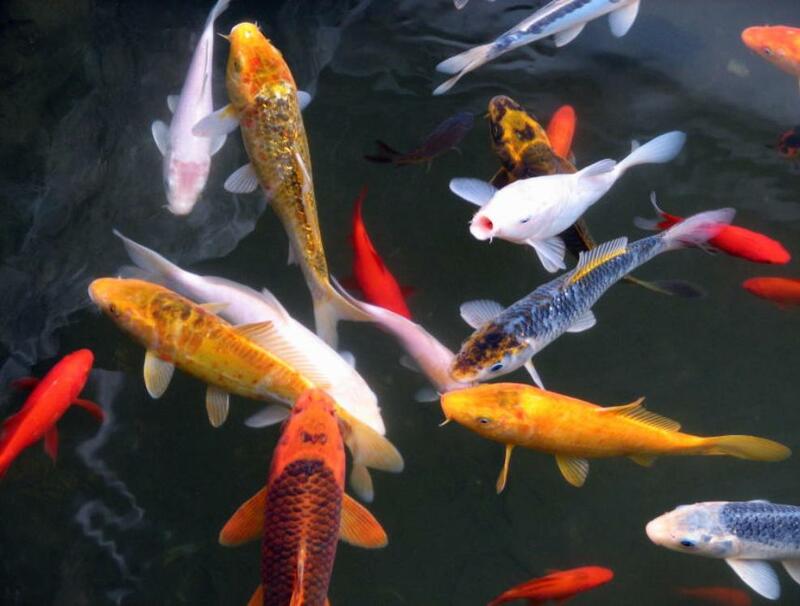 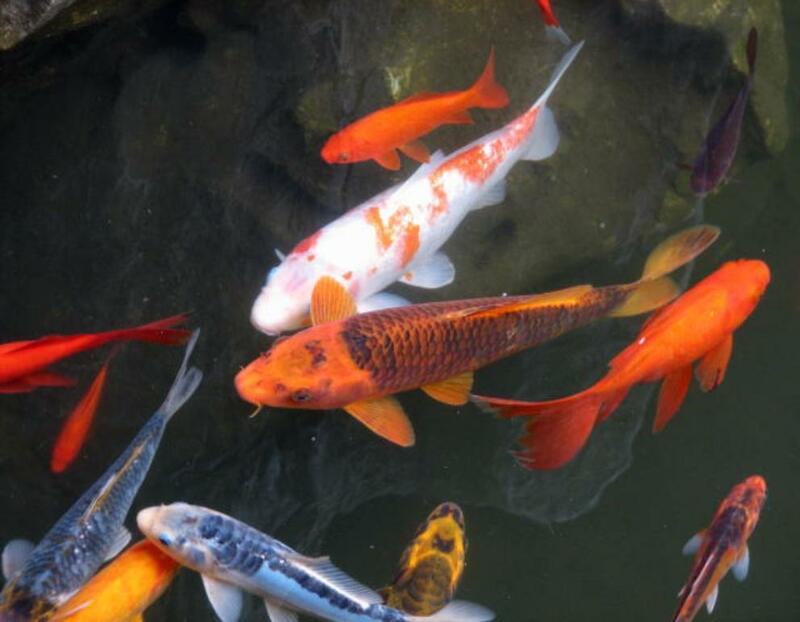 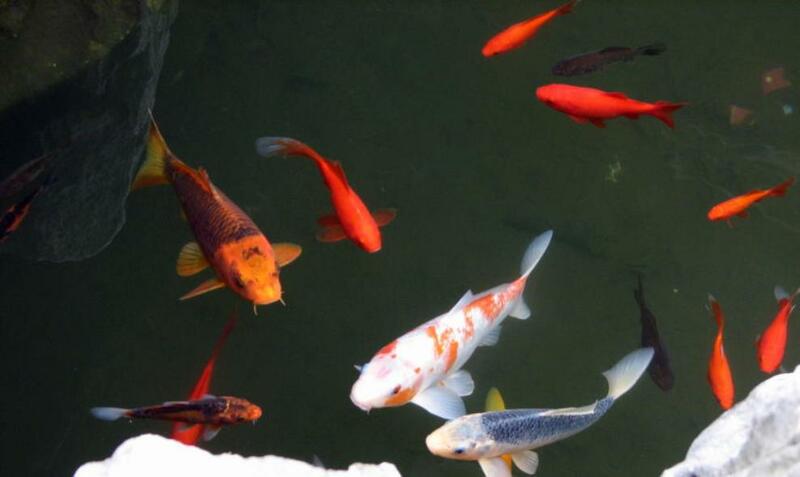 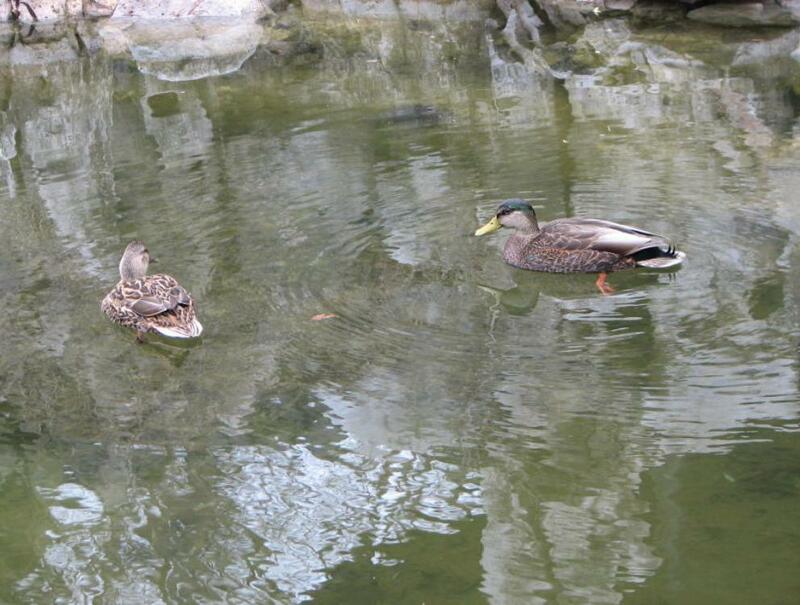 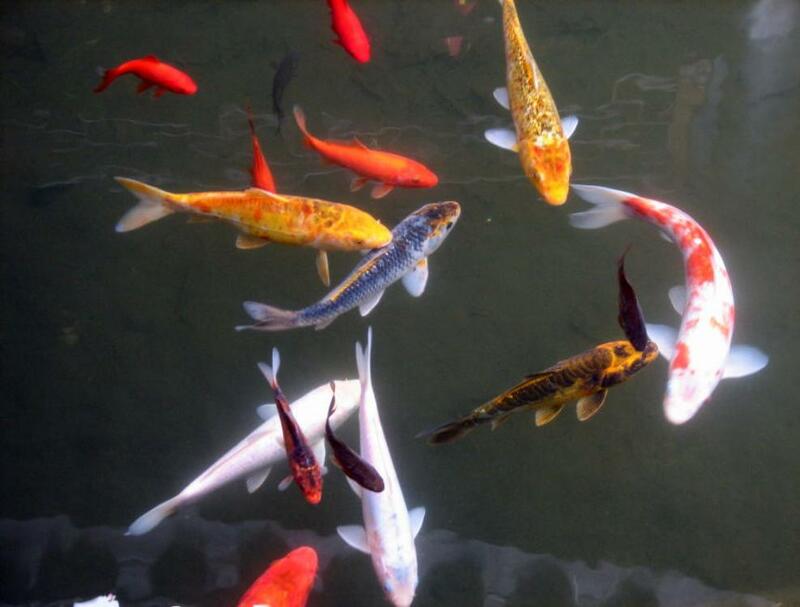 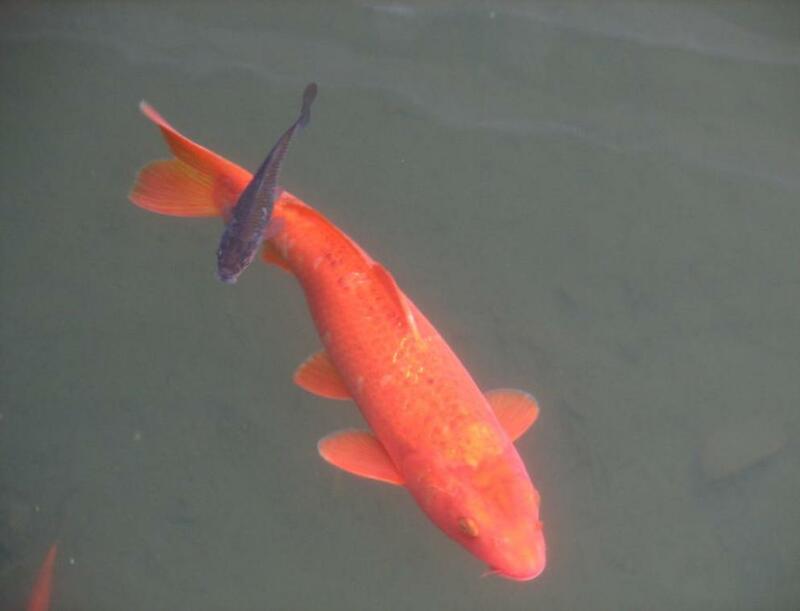 Many colorful fish (錦鯉) swimming leisurely in the fishpond in the courtyard of the garden. 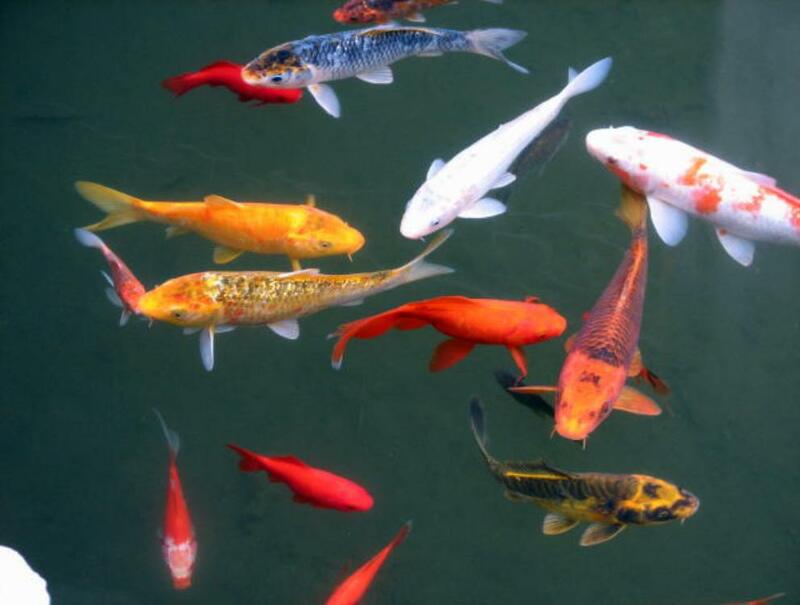 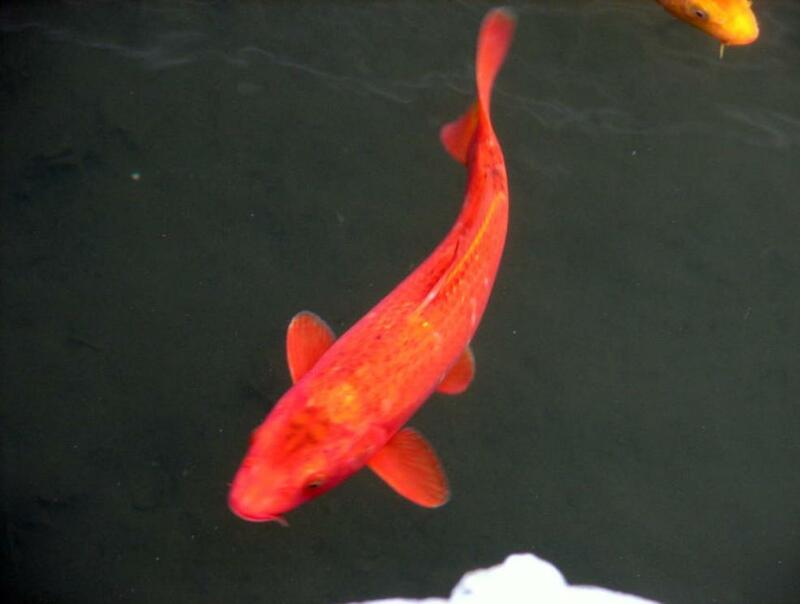 Such relaxing and soothing view of fish often appears in Chinese artistic paintings and poems. 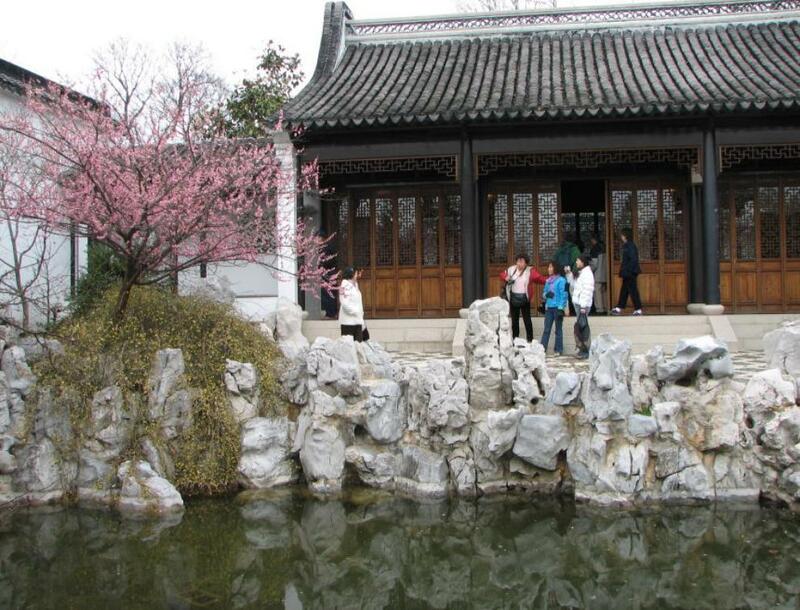 through the main entrance gate to park their cars in one of several parking lots inside the garden. 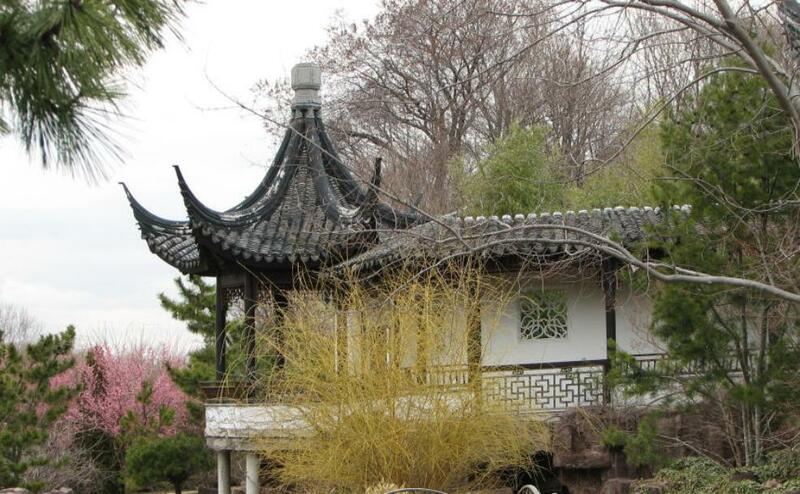 Shop/Cottage 5 and walk through a short trail to enter The New York Chinese Scholar's Garden. 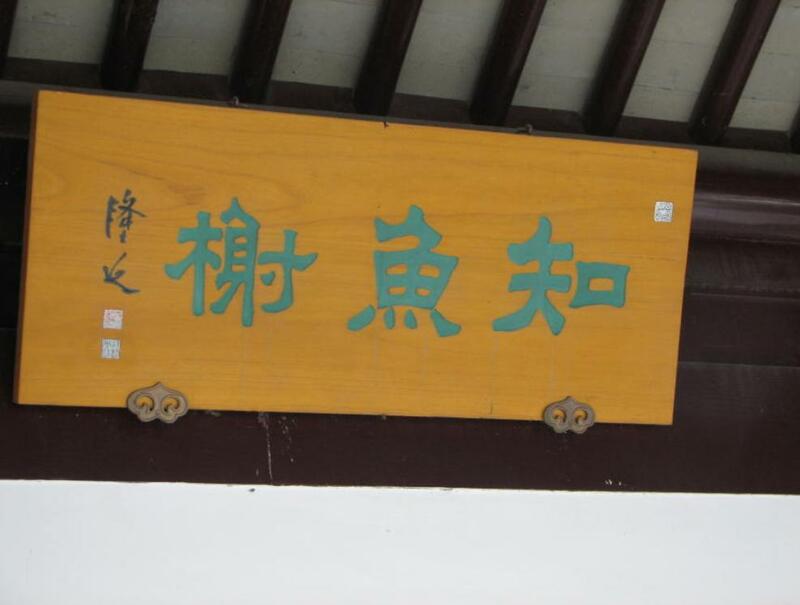 the top of the vertically aligned 5 cottages on this map. 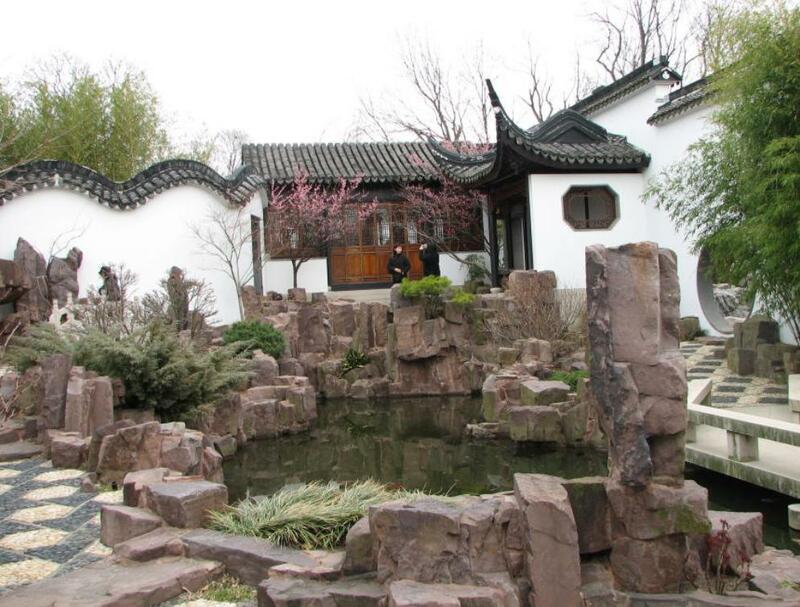 very much this tour of the Chinese Scholar’s Garden and the dinner. 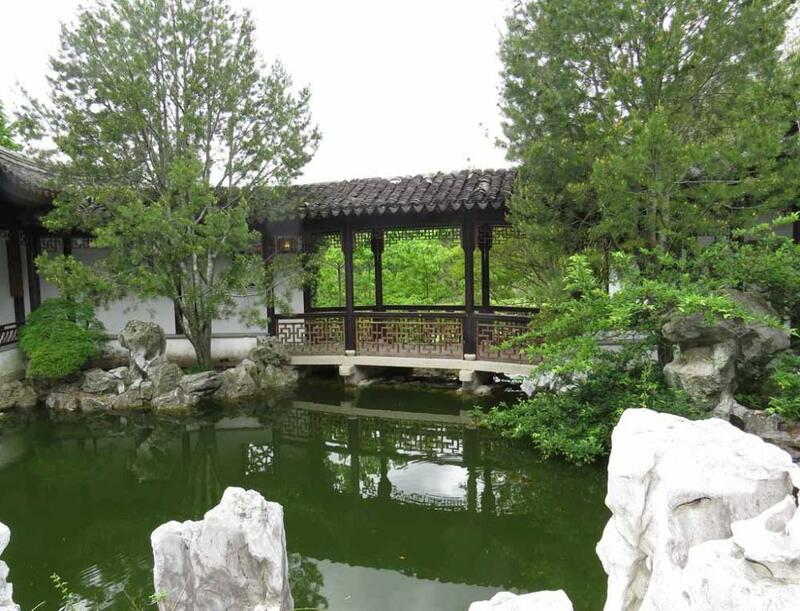 enjoy the beautifully simple, tranquil surroundings. 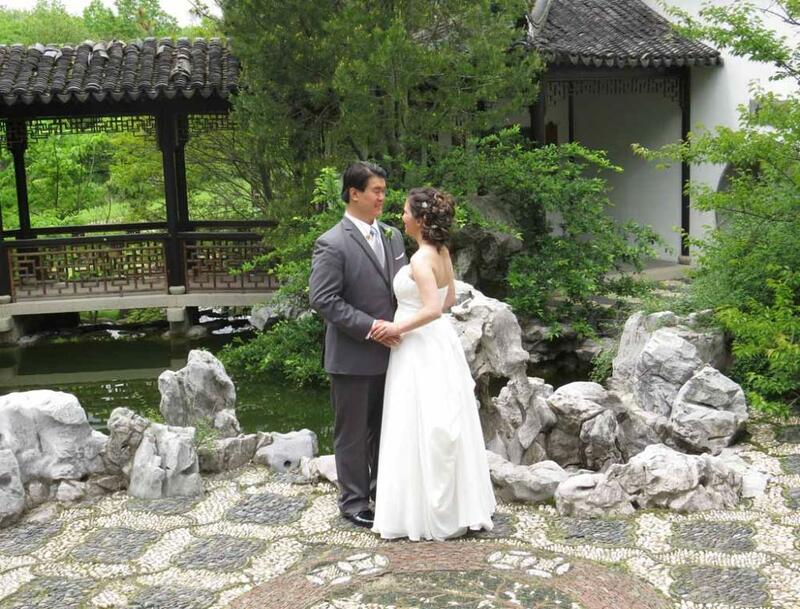 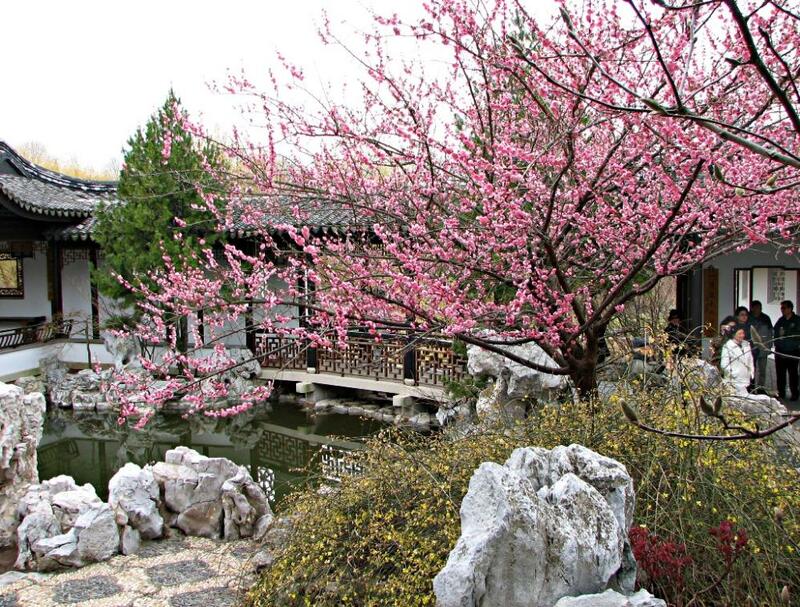 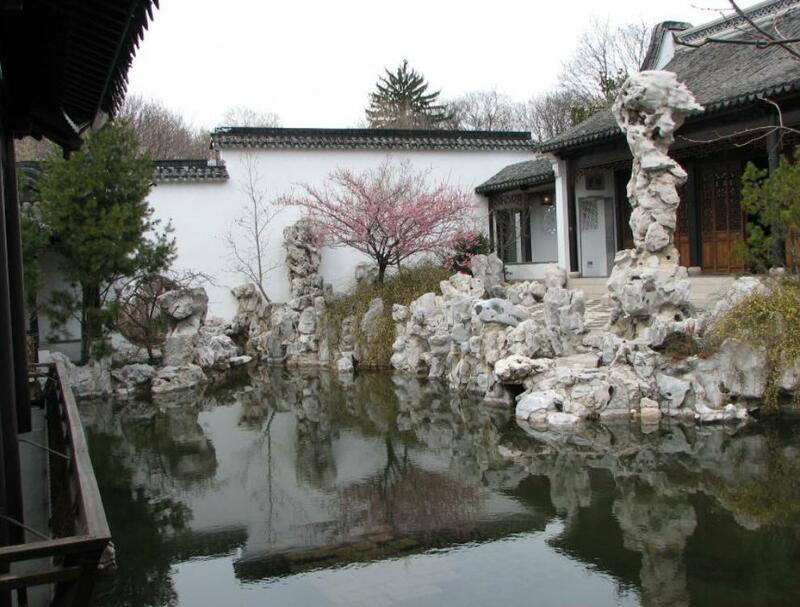 Two years later, sixteen members of 40-Plus Club visited the Chinese Scholar's Garden again on April 5, 2008. 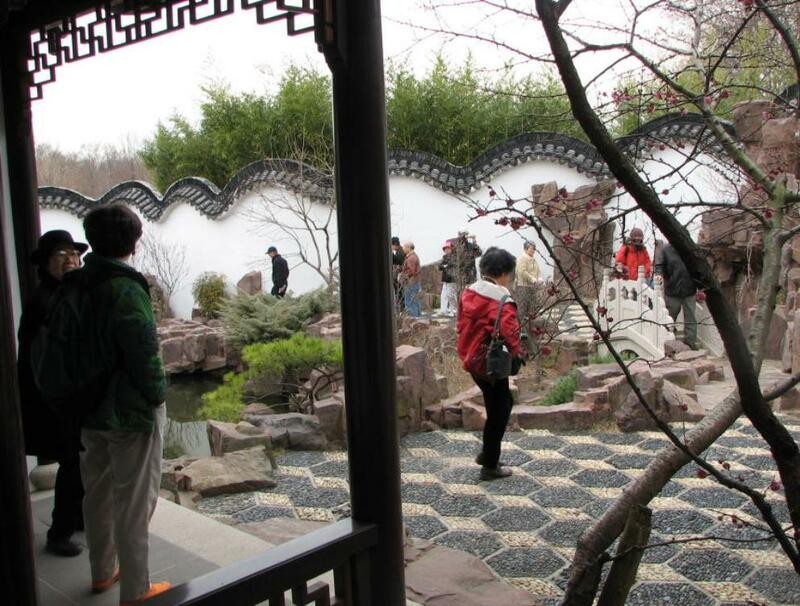 The photos from this second visit are in the Part 2 web page on Chinese Scholar's Garden. 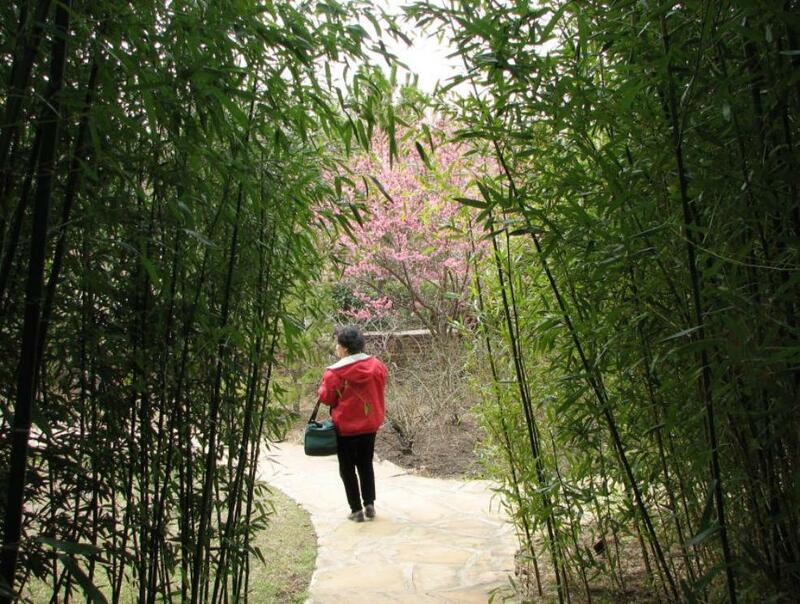 Dense bamboo grove swaying and rustling in the wind. 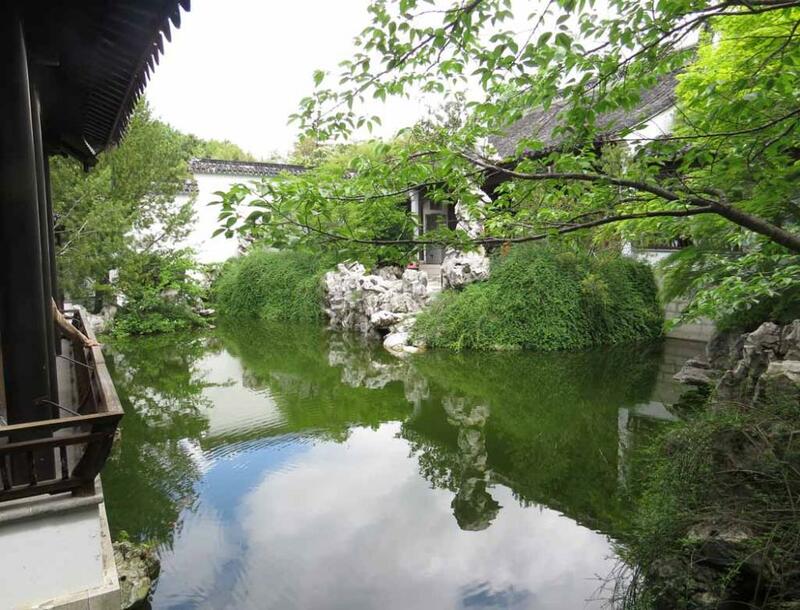 Wandering-In-Bamboo Courtyard with Meandering Cloud Wall and bamboo in the background. 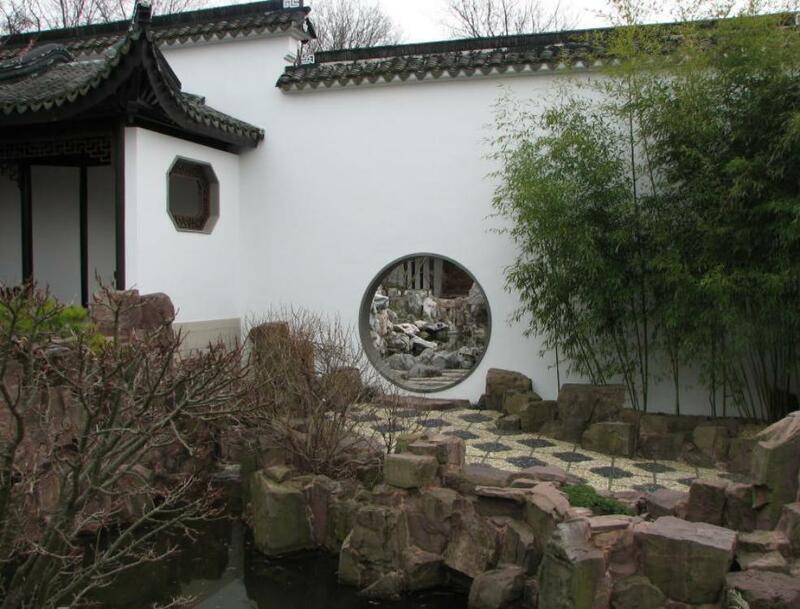 The Moon Gate between the two court yards.